The CCSD Board of School Trustees voted to designate Monday, April 22, 2019 as the make up day for the missed day of instruction due to inclement weather in February. 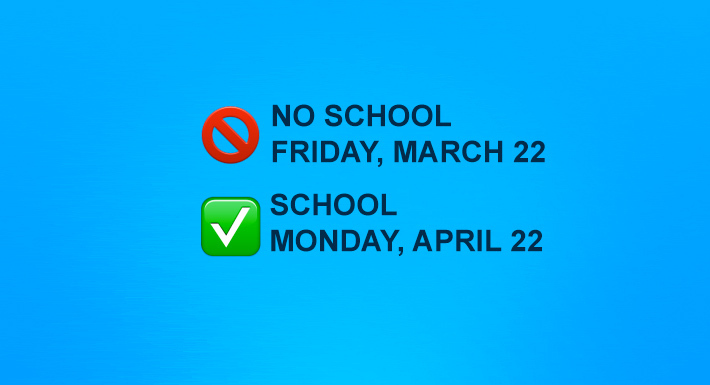 To clarify, there will not be school Friday, March 22, 2019. There will be school on Monday, April 22, 2019 to serve as the inclement weather make up day.